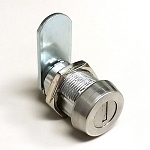 Lock features weather resistant stainless steel scalped 2-1/8 inch body length cylinder extra long cam lock with dust shutter. It is perfect for RV, thick drawer, and compartment door either indoor or outdoor use. Come with 2 single bitted keys, key-alike with key code CH751 or 8025. I used this product to replace the cam lock on a home safe; the OEM no longer manufacturers safes or sells replacement parts. I was able to modify my cam to work with the USD cam lock; worked out great! I couldn't have done it without the assistance of Melissa Nappa, sales representative. This cam lock is only $10.00 and yet Melissa worked with me very patiently to provide the necessary information to determine if it could be used in my application. Great quality product (solid) and outstanding customer service! Q: Can I buy two 2-1/8" extra long dust shutter cam lock keyed alike? A: Sure you can. They are keyed alike with CH751 key code. We will ship them out once order come in. 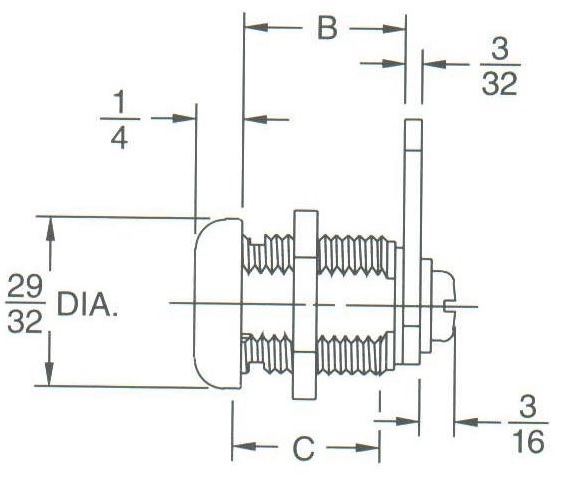 Q: I am looking for this lock, 2-1/8" extra long dust shutter cam lock 2 keypull with two keys, one spur and two cams. what is it meant by "2 keypull"? I need two of these locks, keyed the same and that i can take the key out of the lock when the lock is locked or unlocked. thank you for reply. 2 keypull means you can remove the key both at locked or unlocked positions. A: They all share the same key code CH 751. 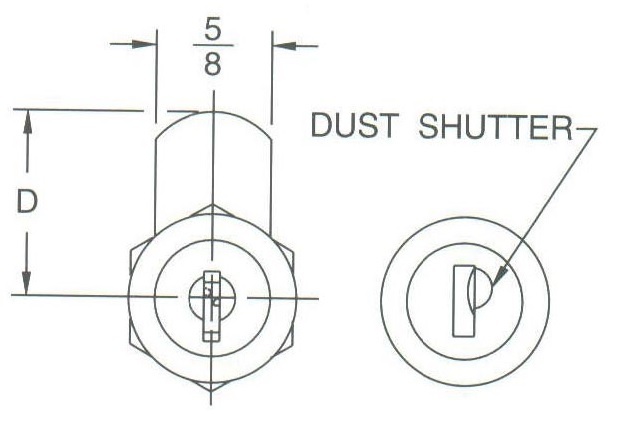 Dust Shutter Cam Locks are perfect for applications in which weather or dust is factor. We do ship to Canada. Q: Can I remove the key in both the locked and unlocked positions or in the locked position only? Do you offer 2 1/8" weather resistant cam locks that are keyed differently? Thanks! 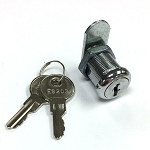 A: Key can be pulled out of the lock at either locked or unlocked positions. We do not offer keyed-different version. Q: Are these locks keyed alike I need at 6? The body length (from the back of head to the cam) is 2-1/8 inch. Q: Will this fit in a 3/4 inch hole that I already have drilled in my drawer? Thanks. 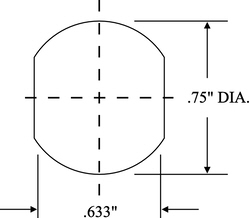 A: Yes, it will fit 3/4" installation hole. Q: Will this fit a 1 3/4 inch door? A: Hello Frank, yes, the lock will be installed on tightly.